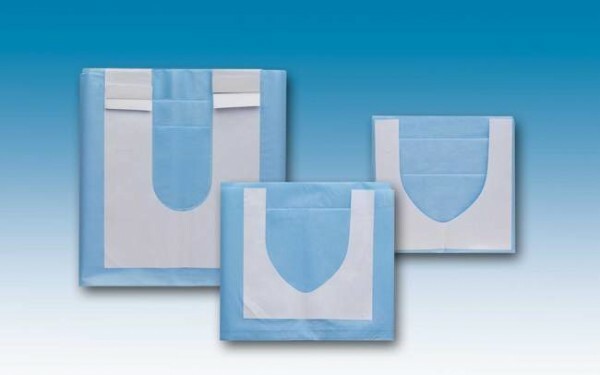 Drape 19.7"x29.55" with adhesive U shape 4.33"x3.55"
Unlike the standard surgical drape, these feature an adhesive U-shape cutout. By positioning the cut on the short side of the drape, it allows for easy-positioning, close to the lower lip or neck of the patient, creating an effective sterile barrier. By allowing fast, efficient placement, these drapes can help in avoiding the risk of contamination while eliminating costly delays. The protective film of the self-adhesive strip is divided into precut segments making application easier.